Neftali Aguilera currently works at Hanmar Corporation, a manufacturing company specializing in metal spinning and deep drawing for aerospace, medical and commercial markets and holds a position of Chief Engineer in training. Neftali has had a long journey through the educational pipeline, he started his leadership endeavors with SBCC EOPS Club where he served as the president and where he received student of the year for his impact on the Running Start Program, community service and mentorship. Looking for a bigger challenge Neftali became involved in more career oriented organizations like SACNAS where he served as outreach coordinator and helped the organization achieve club of the year. He later took on the biggest challenge, he served as the president of SBCC SHPE Ingenium where along with Noe Gonzales, Luis Miguel Garfias and Juan Zepeda fully established the student chapter at the national level. Working well and effectively with his board and student membership in their first year they received top honors as the organization of the year at SBCC. Soon after transferring to California State University, Northridge Neftali’s continuous impact as a SHPE member was reflected in various leadership positions within SHPE CSUN’s membership. While at CSUN Neftali Aguilera’s leadership skills were reflected on his senior design project where he led his team develop alternative energy solutions for the University. As a result his senior project was showcased at the state capitol where it took top honors and won a state award for best practice. Culminating his senior year Neftali Aguilera received his bachelor’s degree in Mechanical Engineering with emphasis in design and manufacturing which has prepared him to be successful in any engineering environment. As Neftali continues to grow as a professional and as an Engineer he hopes to continue a journey of lifelong learning and obtain a Master’s Degree in Engineering. He also aims to become a mentor for future generations of underrepresented students pursuing a career in STEM. Juan started working at Raytheon's, Space and Airborne Systems division in January 2015 as a Software Engineer. He has been involved in many organizations such as the Math Engineering Science Achievement(MESA) Program where he has been a mentor and California Connects Ambassador, where he worked to increase digital literacy and reduce the inequality between those who have access to and knowledge of technology and those who do not. Zepeda has also been part of the IDEAS organization as an Information Technology Officer at Santa Barbara City College(SBCC) where he served to increase awareness and support to dreamers. Juan's life would not be complete without the Society of Hispanic Professional Engineers (SHPE). From being a founding Vice-President at the SBCC SHPE Ingenium Student Chapter to a Vice-President at the SHPE Santa Barbara Professional Chapter. He has been transformed by the opportunities and great mentors he met along the way. His academic journey started at Santa Barbara City College where he was given a Student of the Year award in Engineering in 2012 and then transferred to California State University, Northridge. Juan has worked at many companies during his education: Truevision Systems as Quality Assurance where he worked to bring 3D vision technology to medical applications, Sonos as a Software Automation Test Engineer where his main goal was to make it easy for everybody to listen to the music in every room of their home, J2 Global as a Software Mobile Engineer where he built Business Cloud Services applications. He has been awarded Engineer of the Year for SHPE Santa Barbara and the Great Minds in STEM Luminary Honoree Award. Zepeda continues to grow and one day plans to start his own company. Noe currently works at Moog Inc. Space & Defense group in Santa Barbara, CA. as an Electronics Design Engineer. At Moog, he gets to design the electronic components for weapon turrets in a unique environment that involves research and development and carries all the way through production. Noe has had a rough time coming up the academic ladder, after having lost both parents to cancer at a young age he struggled to finish high school in good standing. Noe embarked on his higher education journey at Santa Barbara City College when he was selected to be in the Running Start program the summer of 2006. Due to his high grades and commitment to the program, he was awarded the “student of the year” award, which fueled his motivation to continue with his dream of becoming an engineer thereafter. Early on while in SBCC Noe struggled to continue his good standing with the rigorous math and science courses as he also held a full-time job. Soon after realizing he was in need of support he joined MESA, where he found a second family of other individuals who had similar goals and backgrounds. He quickly became a regular member at the MESA center and eventually joined SHPE, where he served as an active board member along with Neftali, Luis and Juan when SHPE received the “club of the year” award in 2011. After SBCC, he transferred to California State University, Northridge, where he earned his bachelor’s degree in Electrical Engineering with an emphasis in power, which has prepared him for the high and changing demands of the tech industry. Noe continues to learn every day while working in the field of electrical engineering and hopes to one day along with Neftali, Juan, and Luis start their own tech company. 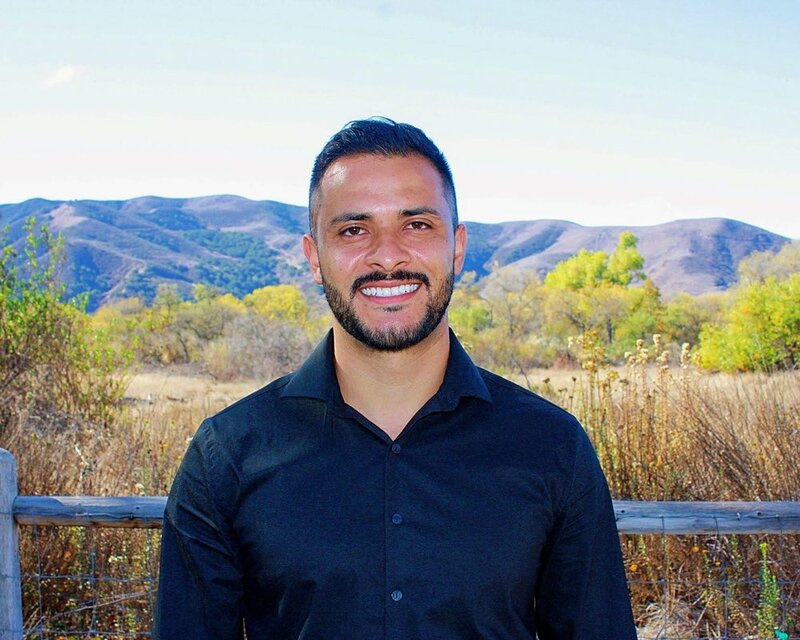 Luis attended Santa Barbara City College from the Fall of 2007 to the Spring of 2011 where he obtained associate degrees in engineering, physics and mathematics. He continued his educational path at the University of California in Santa Barbara. In 2013, Luis earned a Bachelor's degree of Science in Mechanical Engineering. Luis was involved in the MESA program and other student organizations such as SHPE Ingenium, SBCC/UCSB IDEAS and Los Ingenieros where he developed his leadership skills. Upon graduation, he started his career at Trikke Tech, Inc. where he was given the opportunity to be head of the technical support department and perform other responsibilities such as quality control and testing of Trikkes, and the development of new electric models. In his pursuit for career development, Luis took on the opportunity to work at Procore where he looks forward to assist the company to extend its services in Latin America. Luis praises community involvement and has a strong commitment to nurture the upcoming generations in the STEM fields.